With the nature of the remodel business, and customers demanding more for their home improvement dollars, it makes sense to duplicate what successful remodelers are doing working with existing customers and architects. I recently spoke to Dennis Allen, the principal partner of Allen Associates, a custom home building and remodeling company in Santa Barbara, CA. In one communication, Dennis told me that: “we are having a banner year. We’re ahead of our target for sales. This is a nice change after we had a slow 3-4 months at the end of last year. We are really concentrating on sales and landing projects. It seems to be working. The service aspect of sales is rarely discussed in building magazines or at conferences, yet we find it to be critical. It is what builds trust and pulls prospects into signed contracts”. Architects feel responsible for the project, and they like to know what’s going on. Copy the architect when communicating with the client. This builds the team and helps lead to future work. Do them a BIG favor (We dug and located a large water line on the property of an important architect’s client and didn’t charge either the architect or the client) – a small investment. In this case, it is leading to a 6000 square-foot new house that the architect will design and we will build. Big favors impress both architects and homeowners. Help assess issues on a project (for example, an architect who has questions regarding the heating system. If you can, arrange for the heating contractor to visit job site, assess the situation and answer questions). Make major efforts to beat whatever schedule you set up—getting numbers together, pre-construction commitments, or building the project. Beating schedules wows architects and clients. It is an important form of under promising, but over-achieving. If possible, offer a home performance assessment for existing homes. If you don’t do home performance testing, work with someone who does. This establishes your professionalism and quantifies your advice. We charge for this service but it impresses our clients and architects. At any meeting or phone call with an architect, client, or both, arrange for the next step and when it will happen. This builds progress, shows that you are proactive, and creates openings for many of the other items mentioned on this list. If you see issues that can be a problem on a job, that could potentially embarrass an architect, pull them aside and inform them. If there is a problem at a job, suggest 2 or 3 solutions on how to fix it but let the architect and client decide. 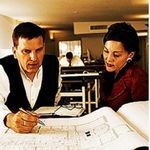 Budget numbers – If working with an architect, send them to the architect first and help them to understand them. They will often explain the numbers to the client and make your job much easier. If you have the expertise, provide green building advice to the architect and homeowners. When you mention a green product or system, send follow-up written materials to both. This applies not only to green building materials, but any product or system that you recommend. Written materials help substantiate your professionalism. Whether or not you offer green building expertise, or can do a home performance assessment, the idea behind all of these suggestions is to exceed expectations. Wow the client you are working with. Wow the architect if one is involved in your project. People so seldom have “wow” experiences anymore that when they do have one, it is something they remember.